Reuters – Iran is waiting for Lebanon to show a desire to accept its military assistance, Iran’s foreign minister said on Sunday, reiterating an offer of support to the U.S.-backed Lebanese military. 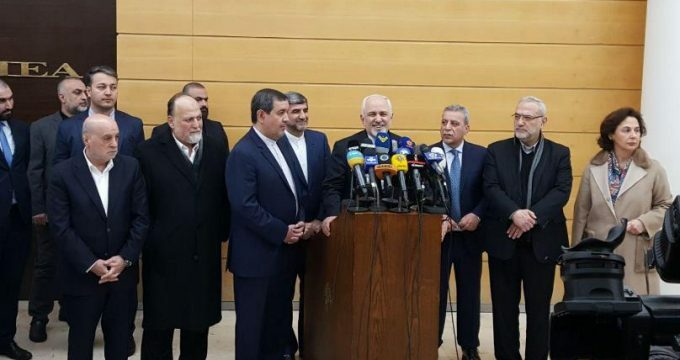 Mohammad Javad Zarif, whose government backs the powerful Lebanese Shi’ite group Hezbollah, was speaking at Beirut airport at the start of his first visit to Lebanon since its new government was formed late last month. Hezbollah leader Sayyed Hassan Nasrallah said last week he was ready to secure air defense systems for the Lebanese army from Iran to confront Israeli warplanes and to secure “everything it wants to be the strongest army in the region”. The United States, which lists Hezbollah as a terrorist group, says its military aid to Lebanon aims to strengthen the army as “the sole” military force defending the country and to counter threats from neighboring Syria.